I'm confident in my (stock) picks but I'm pretty new and am not 100% confident. 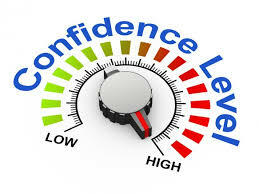 Confidence is a very important part of investing and with most things in life. Think about a pro golfer trying to make a 10ft putt for birdie. She’s made that putt 100s of times and holed it. She should be confident about sinking that putt. What’s likely to happen if she loses any bit of her confidence before she makes her shot? She probably misses. Want to be more confident with investing? Ask yourself, how much risk can I tolerate? A simple way is to answer these below questions, but you must be honest with yourself! a) Would you be willing to lose 20% or more of your investment in the chance you could make 20% or more? If yes, then you have a high risk tolerance. b) How about 10% / -10%? If yes, you have a moderate risk tolerance. c) Would you be willing to make 2.5% risk-free, but be willing to sacrifice potential gains of 10% or more? If yes, you have a low risk tolerance. Base your investments upon your risk tolerance level. You need to decide this before you invest a dime. If you invest how you feel comfortable with then you should have confidence in your investment choices. But you must be honest with yourself. Keep Track Of Your Net Worth: Hopefully you now know a little bit more about financial confidence. Now the easiest way to grow your wealth is to know where all your money is going. Sign up for Personal Capital, the best free financial tool on the web. I use them and have seen my income and net worth blast off. They keep me motivated to budget, spend and invest wisely.